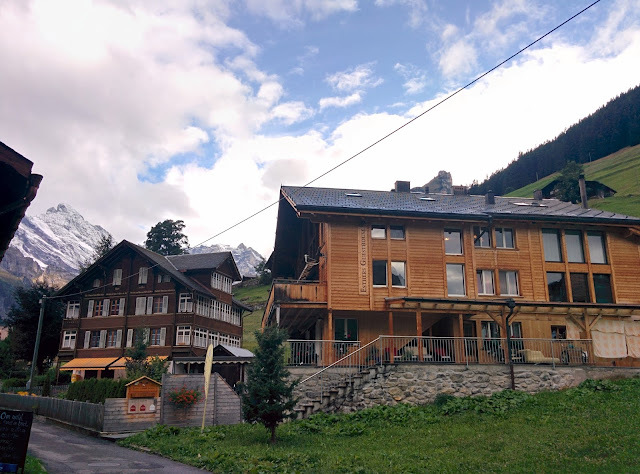 During my 3 day stay in Gimmelwald, I stayed at Esther's Guesthouse (Affiliate Link). As I was staying in hostels for must of my euro trip, I wanted to experience something different, and you can't get any more different than staying at a bed and breakfast 1367m above sea level in the quiet little town of Gimmelwald. 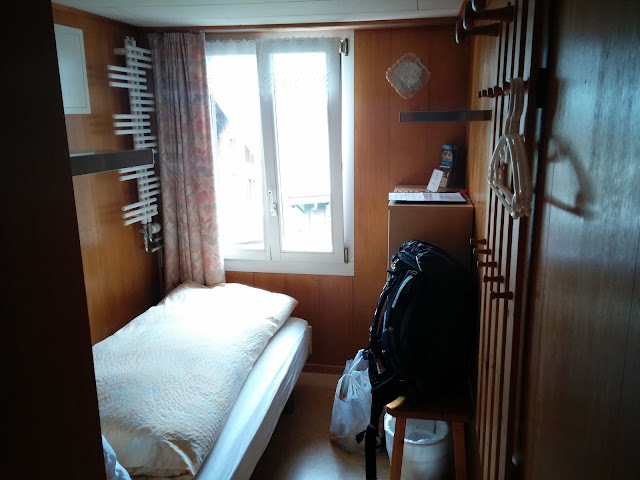 If you are looking for a reasonably priced, warm, and friendly accommodation with good facilities and incredible surroundings of the Swiss alps then Esther's Guesthouse is an excellent option. Pro: Esther's Guesthouse provides a very high standard (not to be confused by luxurious) in accommodation and is clean, homely and well equipped. In addition the hosts and fellow guests were very nice and friendly which provides a great atmosphere during the length of the stay. Con: From a bed and breakfast type accommodation, there is nothing to fault at Esther's. Of course if your preference is the hostel type accommodation then the Mountain Hostel nearby maybe a better option. Esther's Guesthouse is just a few minutes walk from the gondola as well as being about 30 minutes walk to the larger town of Murren. Although the town itself doesn't have much in terms of shops and facilities, this was exactly the reason why I chose to stay at Gimmelwald. As most of my trip in Europe will be spent in big cities, I wanted to spend some time in smaller and more relaxing places where I can relax and recharge. If you are looking for some groceries, then you may be able to find very basic supplies from Mountain Hostel and local farmers like Erica. If you need anything more that, then Murren is a 30 minute walk where a Coop supermarket is stationed. Otherwise if you don't want to cook, the accommodation providers in Gimmelwald like Mountain Hostel and Pension Gimmelwald also have their own restaurant. Needless to say I felt very comfortable walking the streets in the morning, during the day and in the evening. I mean Switzerland has to be one of the safest countries in the world right? The check-in process was a little confusing but this was more than made up for by the very friendly staff was helpful and friendly. (Note: for those staying at Esther's Guesthouse, there are two entrance in the building. One for the reception, and the other is the main entrance. Should the reception be closed on your arrival, be sure to check the noticeboard in the main entrance as Esther and her team will likely have left a note for you). Overall feel: I booked the smallest (cheapest) available room which although small was very cosy. My personal room had a hair dryer and sufficient storage areas. 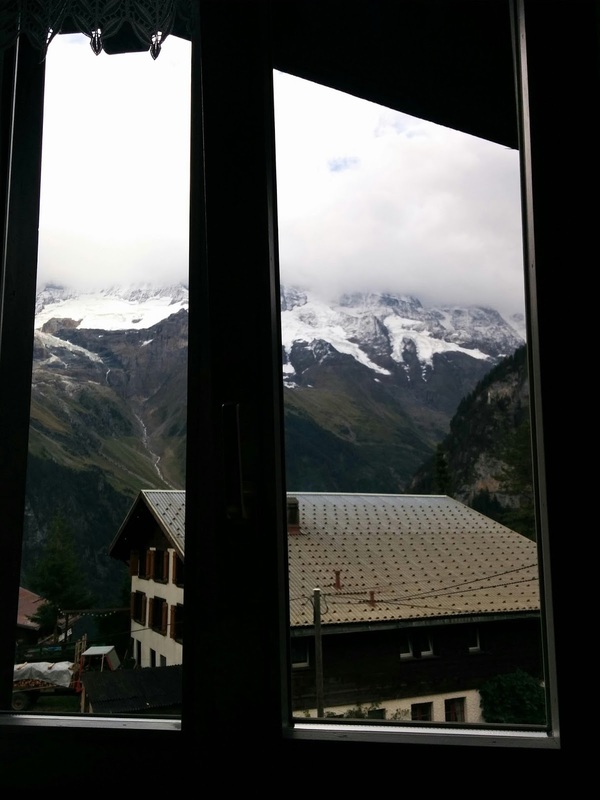 Best of all, I had an incredible view outside my window so that I can wake up to the incredible views of the Swiss alps at the foot of my bed. Bed: The bed was small but very comfortable. Kitchen: free use of a very well equipped kitchen which I utilised throughout my stay in Gimmelwald due to the cost of eating out. Reception: Available at specific hours, although I've found Esther and her team to be very accommodating. Wi-Fi: Yes, it was also one of the fastest internet I had during my trip. Breakfast included: No. Breakfast was available for an additional 16CHF with which I can recommend, as the breakfast provided was fresh (as in grown or made by the locals), wholesome, and healthy providing a unique taste of the locally grown/made food. Cafe/Restaurant: No. Packed lunch was available from 6.5 CHF which was a great option when I went on my hike. The prepared lunch was again delicious, fresh and healthy. The bed and breakfast had a traditional and very homely feel to it. Staff and guests alike were very friendly and made the stay an enjoyable one. If you want something exciting then the Mountain Hostel nearby could be a better bet, but if you want the chance to relax, recharge in a warm and friendly environment, then I can certainly recommend Esther's Guesthouse (Affiliate Link). But I think the thing that really makes Esther's Guesthouse special is the little touches that Esther and her team have applied to the experience. From things like sharing a fruit with her guest to lending out hiking poles so that people can have an enjoyable hike.